Thursday, Feb 7, 2019, 6-9pm. 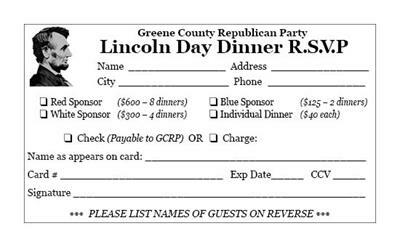 The Greene County Republican Party hosts the annual Lincoln Day Dinner on Thursday, Feb 7, at the Beavercreek Golf Club. 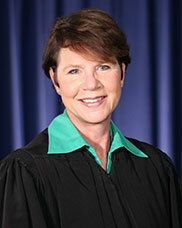 The guest speaker is Ohio Supreme Court Justice Sharon Kennedy. The social hour begins at 6pm - mingle with Justice Kennedy, County and local elected officials, and other Republican voters. Dinner at 7pm, and speaker at 8pm. For tickets ($40), send a check to PO Box 401, Xenia, OH 45385, or click here: https://tinyurl.com/ybl6tzpj. Please RSVP by Feb 1.